Owner(s) F. Korbel & Bros. This historic Sonoma Valley property sits in the shadow of Sonoma Mountain on the banks of Sonoma Creek. Wine grapes have been grown on the site since the 1860s, and owners have included General M.G. Vallejo and the Hearst Family. 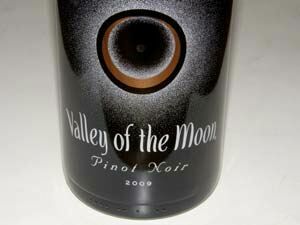 Previously known as the Madrone Vineyards, it has operated under the Valley of the Moon name since the 1940s. The winery and most of the vineyards were purchased by Kenwood Vineyards in 1997 and a new, modern winery was built and the vineyards replanted and upgraded. 9 acres of head-trained Zinfandel remain from the 1940s plantings. The winery is now part of the Heck Estates group under the ownership of F. Korbel & Bros. in Guerneville, California.